Greg Dulli has one of the most recognizable singing voices in rock, and even though he’s been active in other bands (The Twilight Singers and The Gutter Twins, specifically) since the initial break up of The Afghan Whigs 13 years ago, it’s refreshing to hear Dulli again fronting new Afghan Whigs songs on Do To The Beast. The singer/songwriter will be 49 next month; here he sounds older and more full of wisdom on the Whigs’ fourth release for Sub Pop and first album in 16 years. 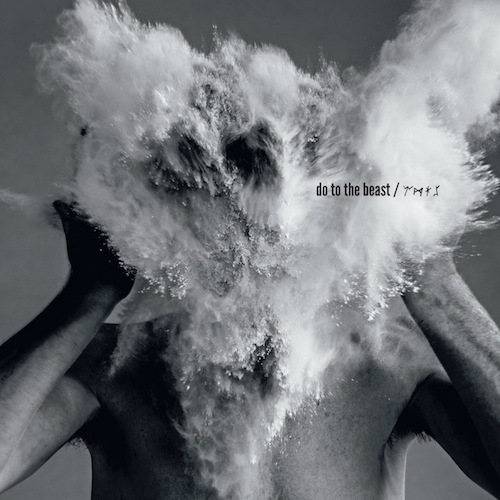 That’s a long time to be away from your original flagship band, but Do To The Beast proves that Dulli and the rest of the Afghan Whigs haven’t lost a beat. They arrive with an impact; one of the Afghan Whigs’ heaviest rhythms to date opens the new album on “Parked Outside.” Imagine the stomp of The Stooges’ “Dirt,” slightly sped up while Dulli wails, “You’re going to make me break down and cry” in his unmistakable drawl. The guitars sear, the pummeling bass drum won’t stop, and we — as listeners — are bearing witness to a new beginning. Do To The Beast has the essence of old traits — the vicious vision of Gentlemen, the dark romanticism of Black Love, and the high spirits of 1965 — but fed through a fresh sieve. After a decade and a half, there’s no way this band was going to try and sound the same. Any band that simply recycles old tricks is typically doomed to fail. The Afghan Whigs have an impeccable track record when it comes to mixing the dark with the light, the evil sounds with the serenity. Take “Lost in the Woods,” which begins with Dulli’s haunting lyrics (“Surprise, surprise, I’ll have you know I’ve come to see you die”) over a meandering piano chord. Suddenly, that piano gets a twinkle in its eye, only to return the song to its oblique setting before finally sending the centerpiece off with a reason for optimism. Later, on album closer “These Sticks,” an acoustic guitar drifting on an open sea gives way to a wave of tom fills and horns that only get louder before Dulli’s voice settles Do To The Beast to rest. For most of the album, the Whigs’ instrumentals crash and bang against Dulli’s heartfelt singing, creating a whirlwind in the listener’s brain. Do To The Beast is a miraculous victory for two reasons. First, what were the chances that the Afghan Whigs would release another record after the band was practically left for dead in 2001? Sure, the Whigs had done a round of reunion gigs in the last couple years, but so had plenty of other nostalgic ’90s acts, and even Dulli had assumed the band was done, noting, “We’d completed the cycle.” Second, this impressive set of 10 songs (with such range and conviction!) can be argued to be among the best Whigs’ albums to date. If Do To The Beast proves only one fact, it is that no band should be counted out for a successful comeback unless all of its members are physically incapable of picking up their instruments.